Wood flooring’s role as a sustainable carbon storage container needs to be told. Is hardwood flooring bad for the environment? This is not a rhetorical question. I recently learned that in parts of Europe there exists a persistent belief that cutting down trees to make hardwood flooring is a waste of natural resources and bad for the environment. The reason for this misconception, what is being done about it and what wood flooring manufacturers can do to promote the truth about the positive role of hardwood flooring in carbon storage are topics of this post; but first, some general information to set the stage. Trees are carbon storage containers and a primary tool in the process of carbon sequestration. As trees grow they absorb carbon dioxide. They release the oxygen into the environment and sequester the carbon. In fact, up to half of a tree’s dry weight is carbon. When timber is transformed into durable products, like flooring, the carbon remains in the wood and is transferred to the flooring which becomes a long-term carbon storage container (or “sink” in the vernacular) for the life of the floor. In the parlance of international carbon storage protocols, durable goods made from forest products are called “harvested wood products” or HWP. The transfer of carbon to HWP is a much studied and known scientific fact. So what is the source of the misconception that harvesting trees for flooring is bad for the environment? It starts with the Kyoto Protocol. The 1997 Kyoto Protocol is a legally binding agreement under which industrialized countries agree to reduce their collective greenhouse emissions. It sets complex methods for tracking, counting and reporting those emissions. This Protocol accounts for carbon storage in ecosystems only; forests and vegetation, soil, oceans, etc. It does not count carbon stored in HWP, even though carbon storage in HWP was recognized at the time the Protocol was written. To make matters worse, the Protocol over simplified accounting for forest carbon storage and created the official default assumption that all carbon contained within a tree is released at the moment of harvesting. They knew that was not true then and they know that now but apparently for complex accounting reasons the protocol was devised this way. You can read a full explanation of this in Recognition of Carbon Storage in Harvested Wood Products -A Post-Copenhagen Update. The unfortunate consequence is that no country counts or gets credit for HWP carbon storage; governments don’t promote it and consumers have never learned about the transfer of sequestered carbon from tree to finished wood products – i.e. flooring. Despite 13 years of studies and discussions at the 2009 Copenhagen Climate Summit, the official protocol remains unchanged and continues as a source of misconception for those less informed. This lingering misconception led some to believe that hardwood flooring is not an environmentally responsible choice; if left unchecked this belief could have a negative impact on the hardwood flooring industry. That is, unless flooring manufacturers join together to educate consumers about the true benefit of transferred carbon storage and the role that consumers themselves can play in carbon sequestration by purchasing hardwood flooring. This possible threat to the wood flooring industry and the need for the wood flooring industry to educate our consumers are covered in an article I recently wrote for Floor Covering Weekly Global after returning from China where I moderated the Domotex International Wood Floor Summit. There, Mr. Jürgen Früchtenicht, president of the European Federation of Parquet Importers addressed the group about his concerns that a growing segment of European consumers actually believed harvesting trees for wood flooring was bad for the environment. Thomas Baert, president of Chinafloors, has proposed that the international wood flooring industry join together to create and market a “Wood is Good” story. He suggests that flooring manufacturers might contribute to a fund to create a message and logo that promotes wood as the responsible product of choice for the environmentally conscious consumer and also explain how buying wood flooring transfers carbon from trees to their floors. His thinking is inspired by the effectiveness of the World Wildlife Fund’s giant panda logo. Mike Snow, executive director of the American Hardwood Export Council, says the AHEC is commissioning what may be "the most extensive Life Cycle Assessment ever done for wood products" and placing major funding behind bringing real scientific data to the debate. This scientific data could be used in the formulation of a consumer oriented marketing program. Mark Hayes of Weyerhaeuser Hardwoods and Industrial Products believes “we must be vigilant against any voice or regulation that portrays wood as anything other than positive for the environment” and he encourages more dialog within the wood products industries on this point. 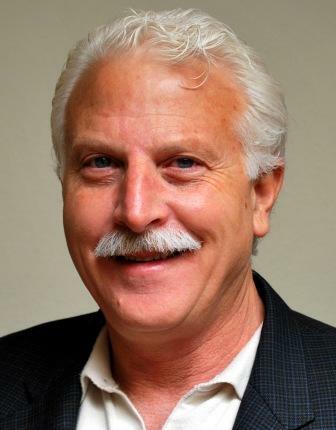 Ed Korczak, director the National Wood Flooring Association, explains that NWFA’s Responsible Procurement Program and the U.S. Lacey Act assure buyers that the wood used to make flooring is harvested legally. Früchtenicht points out that both Europe's FLEGT legislation and the Lacey Act target the legality of wood and not its sustainability or environmental attributes. While these laws do not address the issue of carbon sequestration or the role of hardwood flooring they nevertheless should be part of the bigger picture that is cast for the consumer. As one wood products group preparing for the Copenhagen summit so aptly promoted: “HWP is the only sustainable carbon capture and storage technology available.” The wood flooring industry has a wonderful environmental story to tell and it needs to be told before false impressions become set in the consumers’ minds. Perceptions, true or not, become realities that are difficult to alter: “Wear a hat or you will catch a cold,” was probably spread by hat manufacturers and accepted as gospel for generations. I hope that Thomas Baert’s suggestion to work together to promote the benefits of wood is taken up by the international wood flooring manufacturers and a positive consumer marketing story is adopted so that the train of misconception currently idling in Europe never leaves the station. I think this is an important discussion and encourage you to contribute your thoughts by commenting below. Thank you for reading. To post a comment simply click on "comment" below. The Floor Covering Industry has hit bottom and that’s a start upward. Although the comps are low, we’re beating last year now. While no one knows what the future holds for the floor covering industry in the U.S., we can be certain that public companies have plans and the necessary capital to ensure successful growth. It’s also likely that we’re about to enter an era of new competition and unpredictable hyper-change that will alter the landscape as we know it today. The new buzzword in the luxury segment coined by Ron Kurtz is “frugal fatigue” which roughly means the affluent are becoming tired of frugality. Perhaps that’s analogous to “home sick” - the new home furnishing buzzword. It is defined as being sick of the way your home looks when you know you’re going to live in it until its value increases, which is probably a long time. “Home sickness” bodes well for the floor covering industry. Other trends don’t look quite as positive for floor covering retailers however. Author and columnist Jonathan Trivers recently wrote (I paraphrase) that most independent floor covering stores are really just carpet stores. That’s a problem because hard surface will be the primary beneficiary of any increase in new construction. Perhaps it’s appropriate to look forward ten years. I make these predictions and wonder how you see the floor covering world might change. The craziest vision may just come true. 1. Carpet, as a percent of floor covering, will have decreased to 40% of total sales which is a precipitous drop from its recent high above 70% during the 1980’s and hovering now around 60%. An increase in new construction will force it to 50% within a short period of time. 2. The slowdown in carpet replacement driven by sales of hard surface will contribute to greatly diminish the number of independent floor covering stores. Within ten years, the number of independent floor covering stores in the United States will decrease to 6,000; half the current number. Consider that retail categories almost extinct now include record stores, hat stores, television stores, organ stores and local pharmacies. 3. “Reps,” as we know them, will no longer exist. 4. Home centers will increase their share of market to 35%. 5. Armstrong may be purchased by a Mohawk, Shaw or an outside organization akin to Wolseley. 6. Wolseley DBA Ferguson has 1530 locations in North America. Their involvement would indelibly alter the floor covering industry; they already sell products that complement floor covering. Think "Long Tail" - the theory that our culture and economy are increasingly shifting away from a focus on a relatively small number of mainstream products and markets at the head of the demand curve toward a huge number of niches in the tail. 7. Berkshire Hathaway will likely acquire additional companies. For example, the synergies with Sherwin-Williams and their 3,354 stores in North America would be compelling. Note: Berkshire Hathaway already owns Benjamin Moore. Would that make Sherwin-Williams into Shaw flooring stores? 8. Mohawk has their own strategic advantage to leverage; 250 Daltile locations. The stores already sell ceramic, porcelain, stone, laminate and wood. It’s not a stretch to create full-line Mohawk home stores. We don’t know how different the world will be in ten years; only that it won’t look anything like today. Difficult times are the platform for severe change in any industry. Planning for the future is particularly tricky when most in the floor covering industry are having a difficult time getting through the month. What are your plans; how are you going to compete? Are you prepared for the incomprehensible to become reality…again? What do you think the floor covering industry will look like in ten years? Earlier this year I wrote about the annual "spring-cleaning" - that is cleaning up your balance sheet – which reflects your company’s assets such as real estate, equipment, inventories and receivables. Today I want to talk about creating a succession plan because without the right people in place the health of your business will be at risk even if your balance sheet is in order. Businesses spend a lot of time and money maintaining buildings, plants and equipment in good working order and it is important to do the same for your most important and very expensive asset - your people. Even small businesses need to consider what to do if they lose key personnel. Personnel can change for many reasons. Sure they can be fired but they also retire, die or become disabled, get promoted, take a better job with a different company or relocate with their spouse. People’s lives change and that means your company will too; well managed organizations will have succession contingency plans ready. A family-owned business is especially at risk of failing when its leader becomes incapable of serving and there is no ready replacement. The key is to identify people inside the family who are interested in and capable of taking on the mantle of CEO, or whatever the key position being vacated. A classic example of a stressful scramble to save a family business is that of the Chicago Float Works which learned that things can go wrong even when you think you have a plan in place but it is not well documented. Or read about the lessons learned in a difficult transition from father to son ownership of the Moosehead Brewery and the points of philosophy behind succession planning developed as a result. Whether family owned or not, every business has key personnel that are the backbone of the company. Succession planning should be done for all roles that are critical to your organization. 1. Identify key positions that should have succession plans. 2. Identify key skills and talents needed to be successful in the position. 3. Assess your employees and identify whether you can fill the position from within or need to recruit from outside. 4. Develop a plan to improve training and experience for the successor. 5. Continue to monitor your company’s needs and the suitability of your candidates. Identifying the right successor means first understanding what is needed to succeed in that position and creating a job description or in the very least a list of skills and attributes. It’s therefore important to involve your department heads in this process. If you are the person in overall charge of the company you should prepare the part of the plan relating to your direct reports and have the department heads do the same for theirs. Begin by looking at your organization chart. Under each key position create a box with two lines identified as: (1) "Immediately" (meaning they are ready to step in at once) or (2) "Within 2 Years" (meaning they can be ready to succeed then). Write in the names of existing employee candidates or, if you do not believe anyone within the organization is a viable candidate, write in “From Outside.” This means you believe you will need to recruit someone from outside the company. If you do not have anyone who is capable immediately from within it is a good idea to consider who you might look for when the need arises - possibly someone with a competitor, supplier or from another industry. If you have an existing employee you believe will be capable within two years it is important to consider what kind of training and expanded work experience is needed in the interim to further prepare them for success. As you promote from within this will in turn create openings at lower levels so your plan needs to expand to take in all key positions affected. The final plan (excluding the plan for the person in overall charge) should be discussed and refined with department heads. Remember that a succession plan has to be dynamic because circumstances change. 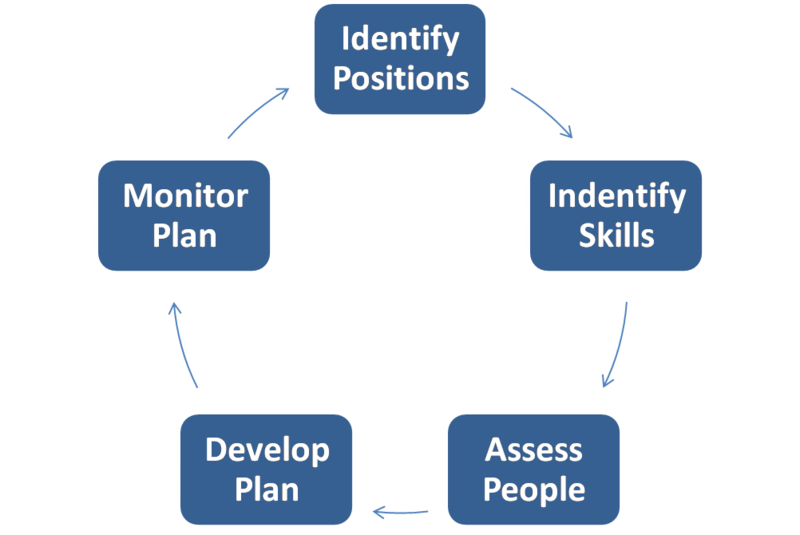 Continue to monitor the plan to ensure it is suitable for the changing needs of your company. How susceptible is the business in the event of employees leaving? Is the current organization satisfactory or has this exercise highlighted positions which may need to be reviewed? Is the company doing enough to keep key employees motivated and content? Does the company need to revise its training programs? Do any of your current managers feel threatened as a result of being in effect asked to nominate employees who could replace them? If the answer is yes then the obvious question is why. Assuming it takes the stated two years to prepare an individual for a more senior position how does the company keep them if the opportunity does not materialize? The list can go on forever but I think by now you get the idea. Implementing a succession plan exercise causes the company to take a good look at its organization and identify its strengths and weaknesses. If I can be of help to you let me know and I would also be interested to hear about your experiences with succession planning. Before I go I just wanted to say how great it is to know that our floor covering industry seems to be slowly emerging from the recession. Last week a recruiter friend of mine told me that job vacancies are on the increase and he was involved in more searches than he had been for the several past months. We are hearing about an improvement in the residential and remodeling segment and in some areas of the country housing starts are showing signs of life. These are all good signs of more improvements to come. As always if you have, thanks for reading.